I thought this was worth reflecting on. An increasing number of schools are creating policy with the support of their respective communities to focus on lifting educational achievement and are working smarter and harder to respond to such a challenge. However it is regrettable that the current National government saw the need to increase classroom sizes as a means of raising achievement which was successfully halted by schools and communities. How many teachers plan units of work with their students? How many teachers use student feedback as a tool to inform and critique their own teaching practice? Are teachers allowing students to play the role of the teacher in their lessons? I acknowledge the many schools that are working hard alongside Māori whānau to ensure that there is a cohesive relationship between schools and whānau as we all need to take equal ownership in the educational outcomes of all our children. 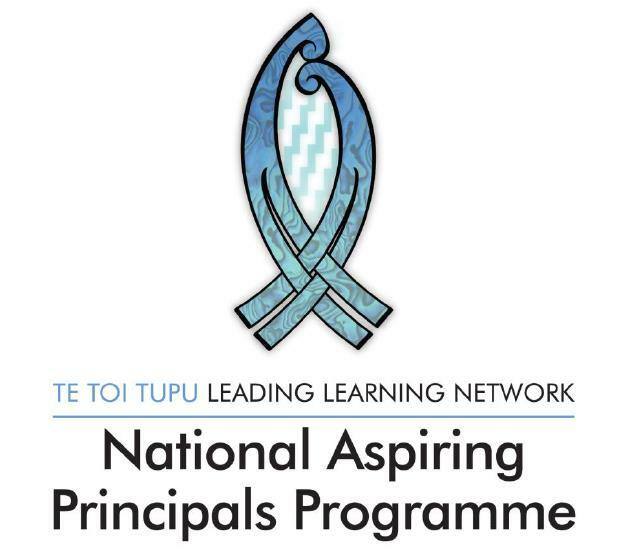 As you may remember my NAPP inquiry was based around mentoring Maori students. Last week I read over these notes as a review and I got to thinking about the above quote. While was in Sydney I used to work with some challenging Year 9 and 10 Māori and Pasifika students. These kids fell through the cracks. No teacher, school wanted them. To be honest they were pretty hard work. I also coached the Year 9 and 10 rugby league team. We never won a game. I eventually found from that experience, I needed to make connection with their background. The biggest learning curve for me was to throw the curriculum out and connect with their families. I went beyond the classroom walls and visited their families, made connections and create a safe environment for their children. I walked the fields and I sat in their community halls. I went to their Churches and prayed with them. This has always been central to my teaching philosophy. For me, it was building that relationship. Parents and their kids will be honest with you, no matter, with all their stories. It is here where you find it. This week’s reflection is one I found from earlier in the year during Maori Language Week and while our Year 9 students were planning their Marae trip. At the same time we were looking at Tataiako as a staff. First some facts. Māori language week was set up back in the 1975. Part of the reason that the celebration was instituted was due to New Zealand almost stamping the language out. Kids got the strap for speaking Te Reo when my parents went to school. During the 1980s various Māori language recovery programmes were instituted including Māori immersion schools. Still during my time at school I can’t remember it being taught. I remember my sister was advised that learning Te Reo was a waste of time because it was dead language but she embraced it at university. I only wish I had done the same instead of those dusty old Middle English papers. That was only 25 years ago. It is a shame there’s still large pockets of Pakeha New Zealander who don’t want their kids to learn Te Reo. In my educational journey I have enrolled in a Level 2 Te Reo course next year. I wish I had learned more as a younger student especially when going overseas. Overseas I found Kiwis embrace Māori culture and language as part of our identity. I still remember leading a haka while teaching in Papua New Guinea. I’m just glad it was before the era of Instagram or Facebook! This year, while studying educational documents like Ka Hikitea or articles like the Issues of Culture and Assessment in New Zealand Education pertaining to Māori Students by Rangimārie Mahuika and Russell Bishop I have realized the language is so rich. So even though my own knowledge of Māori is pretty poor, I could still help my students by empowering them. One of the most powerful things I did was to get the kids to identify my learning need. They helped me also prepare Powhiri. What the kids came back with was nothing short of amazing. This was an illustration of the professional learning network at its best. The students saw me as a lifelong learner. This week it is the beginning of the end for my inquiry. The process is complete. What were the learning needs? I wanted Deans from just gathering data to connecting with these students. It is important for staff to understand both narrative and data of these priority learners. In turn the greater body of staff would be workshop through Ministry initiatives such as Tu Rangatira, Ka Hikitia and Tataiako. I acknowledged this change and development to take place over a period of time so that real changes could be embedded. Examine data to guide Deans and Staff how Mari students are progressing. Deans identify Maori students in there cohort. Identify potential issues. Dean’s meetings used to discuss evidence. This may lead to further PD. Richer relationships are developed. Increase knowledge of the cultural background of the learners. Making sure engagement is meaningful and authentic. E.g. relationships between Classroom teachers, Vertical Form teachers and Deans. Can we use this model to develop other target areas such goal setting? How has practice changed as a result of the inquiry? What is the impact of the changed practice for the Professional Learning Network? My focus was to on a small number of priority learning students which data suggested were not doing well in our environment. It became evident from an early stage that some of many of the systems put in place Deans and the greater staff were already doing. 2. Becoming more aware of issues: Two teachers concentrated on a small group of students and used evidence to establish shared goals with their learners and their caregivers. 3. Greater focus in Deans Meetings. Rather than spending a great amount of grappling with nuts and bolts issues a shared project or communion inquiry goal was established. The changed the culture of the meeting. It became more about professional development. 4. Deans evaluations are still to come. What is the impact of the changed practice for students? There has been a positive impact for student learning. Our Deans previously had a great understanding of their students and this just highlighted this fact. An updated plan to support every Māori child and young person to be successful in education has been released by the Ministry of Education. Ka Hikitia – Accelerating Success or “stepping up” builds on the gains and results of the first Ka Hikitia – Managing for Success. To err is human and acknowledging one’s mistakes is the first step towards learning not to do them again. The best thing about making mistakes is the learning that comes out of them. Mistakes are indicative of an ongoing healthy process of learning. We all make mistakes and sometimes we even commit errors ( errors are considered to be much more severe than mistakes ) but we definitely differ in the way we look at our mistakes. People with ” growth mind-set ” tend to accept mistakes as natural happenings that enrich our life experiences. Similarly teachers with a growth mindset look at mistakes as precursors of learning, the engine of education . On the other hand, people with fixed mindset view them as obstacles in life, signs of incompetence and disappointment. Likewise, teachers with a fixed mindset are more reluctant to tolerate mistakes and they consider them as a hindrance to learning. David Bohr ( Danish physicist ) once defined an expert as ” a person who has made all the mistakes that can be made in a very narrow field”. Bohr’s quip summarizes one of the essential lessons of learning which is that people learn how to get it right by getting it wrong again and again. Education is not magic, education is the wisdom wrung from failure. Talking about mistakes and failure, today’s post features 8 of the best TED Talks on some great personalities and how how they have learned from their own failures. Enjoy! “Mum, I hate you!” What to do when your teen girl tells you she hates you.